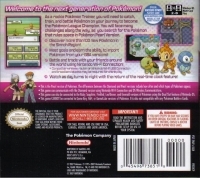 Box Text: Welcome to the next generation of Pokémon! As a rookie Pokémon Trainer, you will need to catch, train, and battle Pokémon on your journey to become the Pokémon League Champion. You will face many challenges along the way, as you search for the Pokémon that rules space in Pokémon Pearl Version.-Discover more than 100 new Pokémon in the Sinnoh Region! -Meet goals and earn the ability to import Pokémon from your GBA versions! -Battle and trade with your friends around the world using Nintendo Wi-Fi Connection! *Compatible wireless router or Nintendo Wi-Fi USB Connector and broadband access may be required for online play. -Watch as day turns to night with the return of the real-time clock feature! 01-27-2016 aliensstudios Box Text Welcome to the next generation of Pokémon! As a rookie Pokémon Trainer, you will need to catch, train, and battle Pokémon on your journey to become the Pokémon League Champion. You will face many challenges along the way, as you search for the Pokémon that rules space in Pokémon Pearl Version.-Discover more than 100 new Pokémon in the Sinnoh Region! -Meet goals and earn the ability to import Pokémon from your GBA versions! -Battle and trade with your friends around the world using Nintendo Wi-Fi Connection! *Compatible wireless router or Nintendo Wi-Fi USB Connector and broadband access may be required for online play. -Watch as day turns to night with the return of the real-time clock feature! 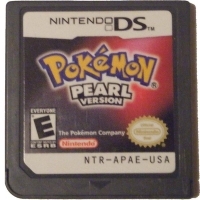 This is a list of VGCollect users who have Pokémon: Pearl Version in their Collection. This is a list of VGCollect users who have Pokémon: Pearl Version in their Sell List. 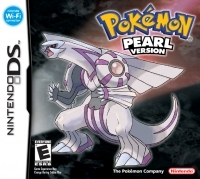 This is a list of VGCollect users who have Pokémon: Pearl Version in their Wish List.